Joyce Dombrouski knows she has a lot to learn if she becomes the newest member of the Montana University System Board of Regents, but she’s eager to bring her skills to the table. Dombrouski, who serves as chief executive officer for Providence Montana, was appointed by Gov. Steve Bullock last month when the former board chair, Fran Albrecht, termed out after six years of service. Her confirmation hearing before the Montana Senate’s Education Committee was Wednesday, and paved the way for confirmation by the full Senate. There were no opponents to Dombrouski’s nomination. Dombrouski has over 38 years of health care experience, first in nursing and then coordinating infrastructure and in administration. She hopes that background will add a new perspective to the Board of Regents. “Health care really has the same dynamics, at least as I understand it today, as higher education, in that it’s changing at a rapid pace. We’re being challenged by technology, we’re being challenged by external consumers for access, for quality, for cost,” Dombrouski said. Creativity and innovation are important, and are rapidly changing both the health care industry and higher education, Dombrouski said. Montana must be nimble and embrace those changes, but also keep in mind the fiscal realities, including the impact on tuition. Learning about what’s already been done to prepare future generations for health care careers through the University of Montana is Dombrouski’s goal, and she’s eager to add to the conversation. 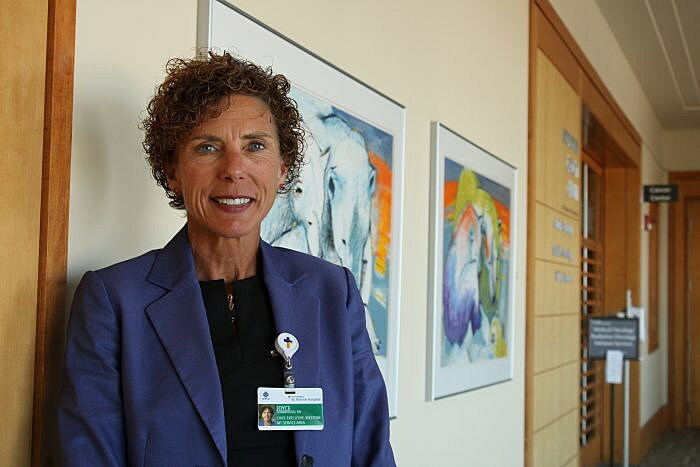 As a community member and hospital leader, she has seen a lot of collaboration between the University of Montana and Providence. “I live in this community, so I’ve seen the work that President (Seth) Bodnar has done and the joint efforts with the university in some of our research, the work that we do in health care. So I feel positive about that as a leader of a major organization, as well as a community member,” she said. Dombrouski has helped implement a physician leadership team at the hospital, adding five practicing physicians from various specialties who will provide input to the hospital’s finance and planning conversations. “That was really as a result of our general medical staff feeling like they wanted to have more communication and impact,” she said. The Board of Regents has seven members, divided between geographic districts that guarantee statewide representation. While regents represent the entire state of Montana and not just one district, having every region represented is the goal. “The board looks to ensure that they are moving the vision and mission of public higher education in Montana forward,” Albrecht said. During the past six years, the board has focused on enrollment and faculty-to-student ratios compared to national trends, worked toward affordable tuition rates, emphasized the importance of liberal arts schools and hired new leadership at Montana State University-Billings and UM. The board manages a $1.6 billion budget. “Everything is changing, and we have to ensure that we’re staying ahead of that curve – being thoughtful about it – and offering what students need and supporting our faculty and staff in being those centers of excellence for the state of Montana,” Albrecht said. She said that she is grateful to have served on the board and is excited to see Dombrouski use her skills and experience gained working within the health care industry. In a letter to Gov. Bullock about the position, Dombrouski shared what she has learned through her career and her higher education experience at MSU. “Hard work and dedication are vital to success, and a system of support and excellence in education means a better life and a better Montana for all,” she wrote.